RUC/PSNI call for recruitment of at least 300 additional officers post Brexit – to police the Irish border. 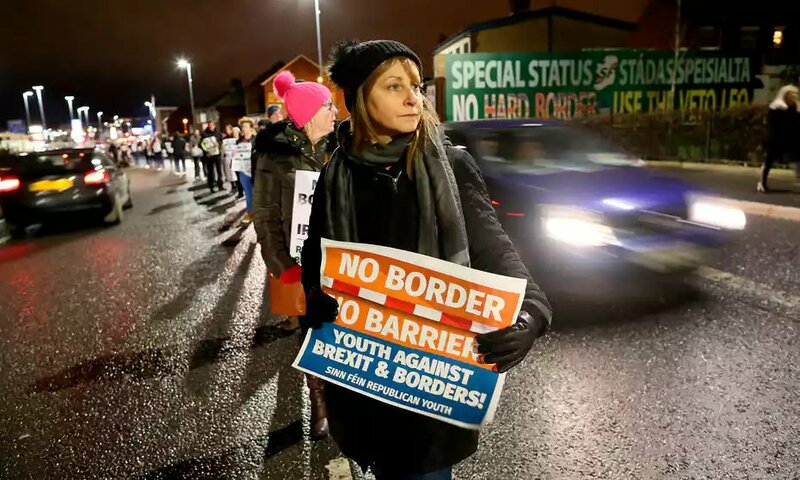 Police in Northern Ireland are to ask the government to fund the recruitment of at least 300 additional officers for operations along the border after Brexit. Chief Constable George Hamilton confirmed that a business case is currently being drawn up. The Police Service of Northern Ireland is also asking for new vehicles and other equipment. The Police Federation has asked the government to agree to the request. It was revealed recently that the police force delayed the sale of its disused station in Warrenpoint as a result of uncertainty about Brexit. BBC News NI understands the police force have also delayed plans to sell disused stations in Aughnacloy and Castlederg as they may have a future customs or security role. The call for additional resources is backed by the association that represents rank and file PSNI officers. Speaking to BBC News NI Mr Hamilton said the proposal was to ensure the force is “match fit” and ready for the post Brexit era. He said the additional officers were needed to help the police support other government agencies. There are more than 250 crossings along the border between Northern Ireland and the Republic of Ireland. The UK and EU have both said they do not wish to see a hard border after Brexit, but they have not been able to agree on how to avoid checks on goods once the UK has left the customs union and single market. If there is no Brexit deal it is likely customs officials will have to carry out the checks and it will be the job of the police to protect them.